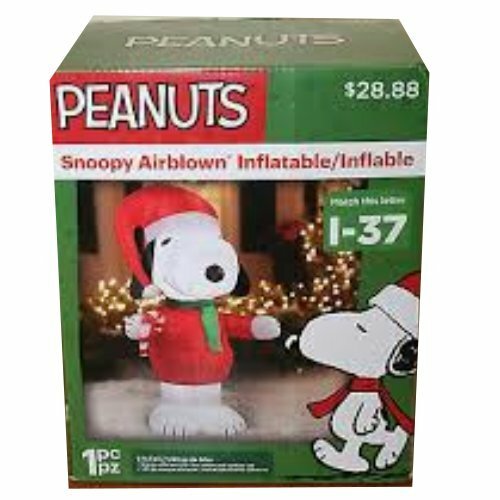 Peanuts 5 Ft Tall Inflatable Snoopy wearing a red coat and Santa Hat holding a candy cane. Comes with everything needed for easy outdoor setup. Indoor or outdoor use.